We have a pretty spectacular group of sponsors for the January DigiNightOut event. Thanks for helping to make our event even more fun! Let’s take a look at some of the new stuff our talented sponsors have released. I adore this cute Christmas kit by Angie. That adorable Santa card is to die for! 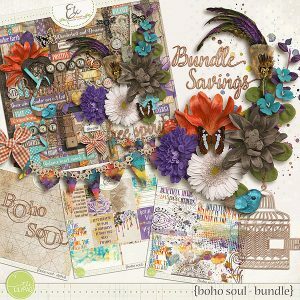 Erica really went above and beyond this month as she is ALSO our Featured Designer for January. 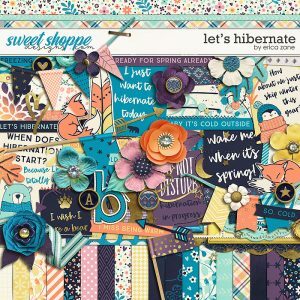 Let’s Hibernate is her most recent solo release. 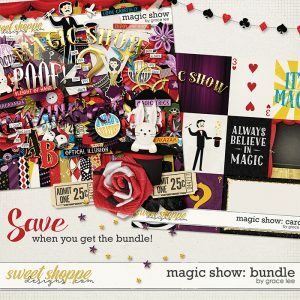 But did you know that she also did a Scoop with Libby Pritchett that’s FREE with your $10 Purchase at SweetShoppeDesigns? I love Danyale’s style. I wish I could make throw pillows out of her patterned papers. They’re beautiful! Grace generously donated two coupon codes this month! She has an adorable new Magic Show kit! That magician is adorable! 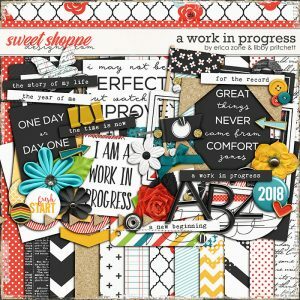 Her last release was a Scoop with the newest Sweet Shoppe designer, LJS Designs. Out in the Cold is filled with adorable graphics and cheerful colors. 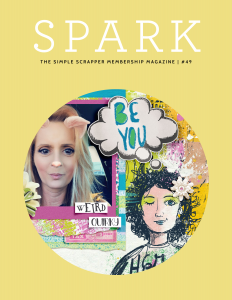 Simple Scrapper is our super duper sponsor this month! They donated something for every attendee! But I can’t tell you what, you’ll have to come and see! Since I can’t share an image of what was donated, I’ll post an image of their monthly magazine that’s included with your membership! 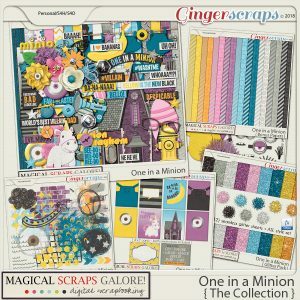 Marina of Magical Scraps Galore is a rockstar! She was out of town and created a coupon code on her phone for our event! Look at this adorable One in a Minion kit. The colors are so cute and that little unicorn is adorable! I adore Liz! She has a beautiful family and such a kind spirit. And she designs beautiful templates! 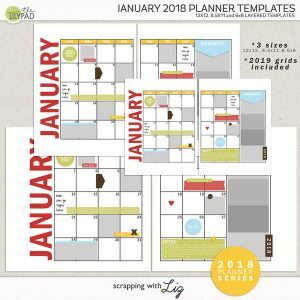 Her newest release is a set of January planner templates. What a great idea! I also am a sponsor this month! 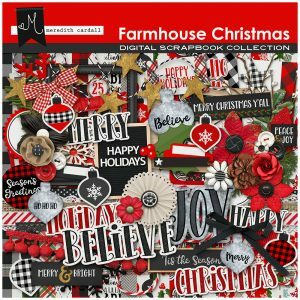 I love my newest release, Farmhouse Christmas. I love the clean design! Thank you, thank you, thank you for sponsoring our event. Please take a look at our sponsors’ stores & show them some support!